This morning, we are giving serious props to one Kristi Olivares. 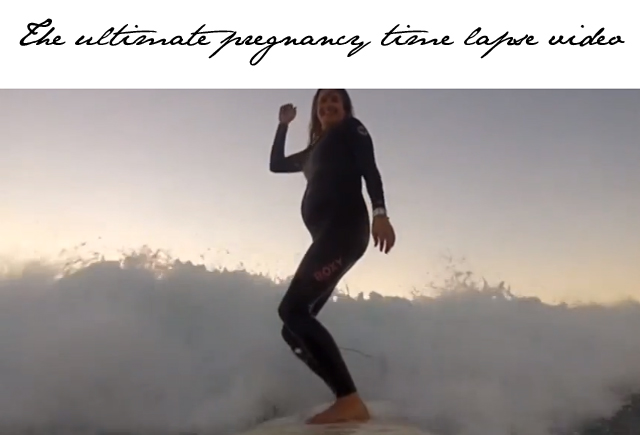 This surfer brings new meaning to being active while pregnant. Kristi published a video last week that shows her baby bump development over the course of nine months, only this isn't your average time-lapse baby bump video. Oh no. Kristi is showing off her bump as she surfs. And you know what, folks? She surfs straight past nine months. Quite simply incredible. For those of you wanting to keep up with Kristi and family, you can follow her on Instagram where, we must warn you, you will discover gorgeous pictures of surfer girls, happy beach babies and some serious press Kristi is receiving for her daring video.